Alright, enough slacking, back to business at hand. Ever since I scowled, fumed and snarled at the closing of Pasha Meat market all the way down in Santa Clara, I was yet to find a replacement that was clean, hygienic and well stocked with meats and frozen halal goodies of our choice. Since it shuttered, it was bye buy corned beef and chicken sausages until I finally espied a packet at our other go to halal meat shop – Aladdin. There it lay languishing in the corner so I was prepared for it to be either expired or already breeding new life forms but I was glad to be proved wrong. 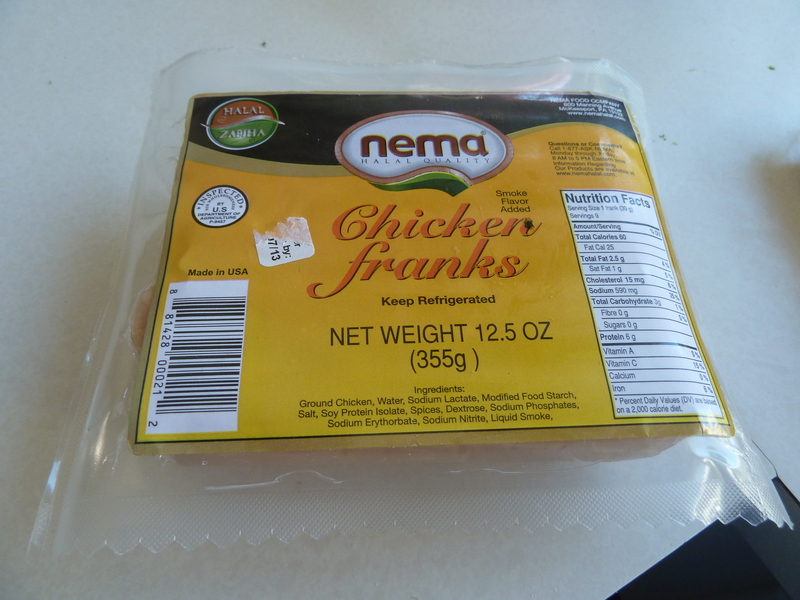 I snatched the only remaining packet of Nema chicken franks (with liquid smoke!) and decided to surprise TBH over the weekend since he had been asking for chicken sausages for ummm three years now. While clearly this may be a testament to my questionable cooking skills, I didn’t get them browned all the way but they were still tasty. TBH was happy and even our pint-sized food critic scarfed one down with little to no cajoling. Score! One more protein option for his picky highness. 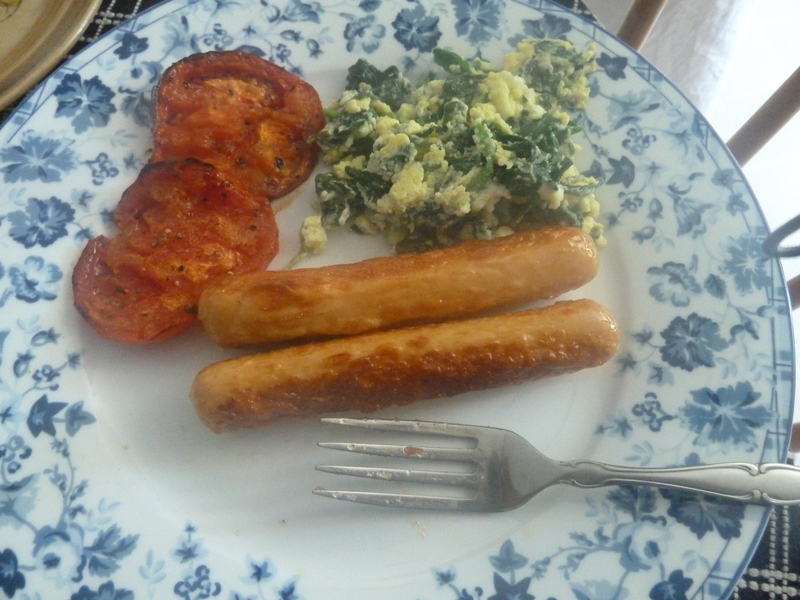 I didn’t really get much of the smoky flavor but next time I see more chicken franks – get out of my way because I will fight you for the last remaining frank – unless of course it is expired and has other life forms on it. Our Halal shop here in San Bruno is quite small, very family run for the most part and will try to special order prepared/frozen foods at the customers request whenever possible…. So, if Aladdin is not stocking your chicken franks, then try Green Valley Market on San Bruno Ave. they started ordering a particular brand of frozen samosas and chicken nuggets we like at my request!!! A Big Plus, they recently opened a little take away restuarant inside the store. They have a couple of tables outside. Welcome MeIU and thanks for the head up on the San Bruno place. I’ve heard good things about it and must check it out too. Sounds like they good customer service!